Spinach has a high nutritional value and is extremely rich in vitamins. 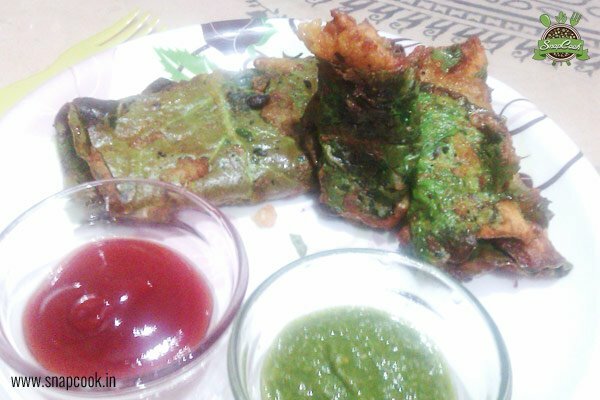 This crunchy, crispy and easy to make palak ke pakode will be healthy and tasty snack. Nice to have it with tea specially in winters. Wash the palak leaves, clean it and wipe out with cloth. Kepp aside the fresh leaves. Mash potato and add turmeric powder, amchoor powder, green chilli, red chilli powder, roasted cumin, garam masala, salt and coriander leaves. Mix well and keep aside. Now roll that sandwich very gently. Now add little water in the gram flour batter to make a smooth batter. 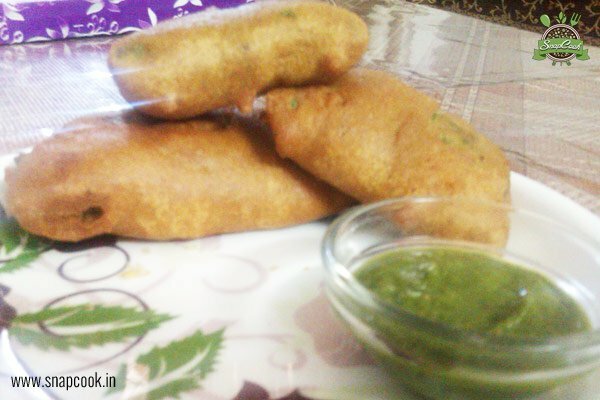 Dip the rolled sandwich in the smooth batter of gram flour. Now add this in the batches of 1-2 and deep fry on medium flame till it changes the colour to golden-yellow. Serve hot with green chutney and have it with tea and coffee in winters. While making smooth batter of besan, add 1 teaspoon of lemon juice and hot oil in it to make the pakodas crispy.